There are many good reasons why podcasts are a natural fit for content marketing. They are a way of getting longer, more detailed information out in a format that is easy to use. And if you are a content marketer, dissemination of content is a core requirement. Of course, it doesn’t hurt that podcast listenership has nearly doubled over the last few years, making it a worthwhile option for reaching the widest audience possible. 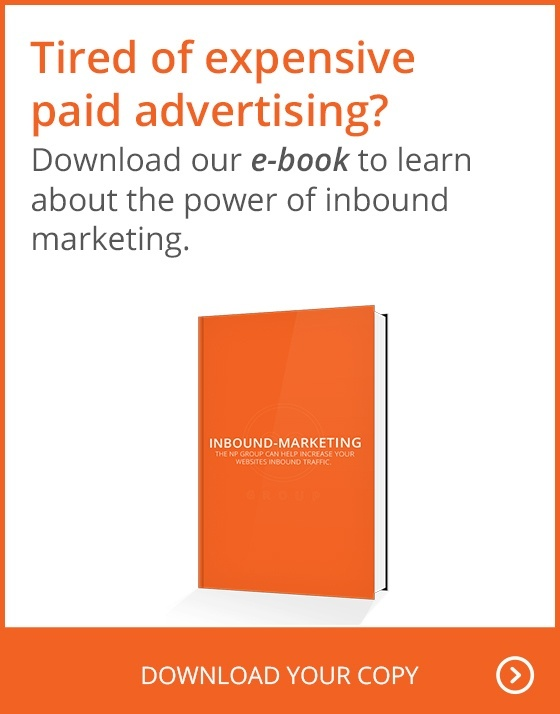 That’s only part of why podcasts make a great addition to an inbound marketing strategy. Let’s explore the ins and outs of podcasts, and how you can start incorporating them into your existing marketing efforts. Podcasts are living content, and they’re an easy way of generating guest content. Often, authority figures or influential thought leaders are just too busy to sit down and write something from scratch, but speaking is no problem. You can conduct an informative interview and obtain much more content than you would in a short written piece. Most people who find writing an article tedious are willing to sit down for a recorded 15-minute phone call. Podcasts require minimal editing and preparation. There are many ways to digitally record a conversation. Give the audio a brief listen to make sure the quality is high enough and that's all there is to it. If you want written content to supplement it, you can easily transcribe your podcast and offer it as a download. Even short audio files can take more bandwidth than you can upload to an email or onto many websites. By transcribing your podcast, you can generate written material for your site, but the transcribed keywords can increase the SEO value of your website. Podcast content can be divided into short written pieces. A 15-minute podcast can contain a lot of information that can supply at least a few written blog pieces. Podcasts have their roots in the early 1980s with the combined growth of broadband internet and the invention of portable digital audio recording, specifically the iPod (the word "Podcast" came from "iPod). Podcasting began in earnest in 2004 when the iPod and other podcast and music recording devices really took hold of the market. Audio marketing and podcasting are gaining traction among content marketers because the podcast is a dynamic, living medium. Podcasts let prospective customers and interested parties go beyond the static visual webpage. If they are done right, podcasts are engaging and personal. They create a sense of trust and build a sense of community with the marketer. Since the widespread business use of podcasting started in 2004, the statistics show a steady increase in listeners. In 2009, eMarketer reported that 21 million people used podcasts. That number had been increasing about 24% a year. A 2010 Edison research study showed that 25% of Americans listen to podcasts. The study estimated that 70 million people had listened to a podcast in 2010. Today, there are many ways to listen to podcasts, from big screen TV to cell phones. To incorporate podcasts into your inbound marketing strategy you should start small and grow into it. First, record your podcast. Duh, right? The preferred format is a .mp3 file. This is a compressed audio file which uses minimal bandwidth for good sound quality. If you have an iPad or iPod that platform is often recommended. However, there are many other options. There are many apps that will record mp3 files very well on your computer, tablet, or cell phone. Then you need a place to put your file where it can be accessed. Many blog sites do not accept large audio files. If you have a subscription on iTunes you can upload the file there. You can get "really simple syndication" (RSS) for your podcast from iITunes or sites like LibSyn or Typepad. Some podcast sites have fancy interfaces and apps for IOS and Android. Other sites allow accessible storage without the fancy front end. Many people make podcasts and upload them to YouTube. However, YouTube does not allow audio-only files. Users get around that problem by adding images to their audio and posting them that way. YouTube gets very wide circulation and is very accessible. The rest is a matter of adding links to your podcast on your webpage, in promotional emails or other communications. The more hits you get on your podcast, the better your SEO will be. At some point, the podcast will stand on its own. Interested in learning more about how to reach your audience with podcasts and other content offerings? Read our post, B2B Content Marketing: Visual Content That Creates An Impact!